Reliable & Trusted Towing in Iowa City & Surrounding Areas! 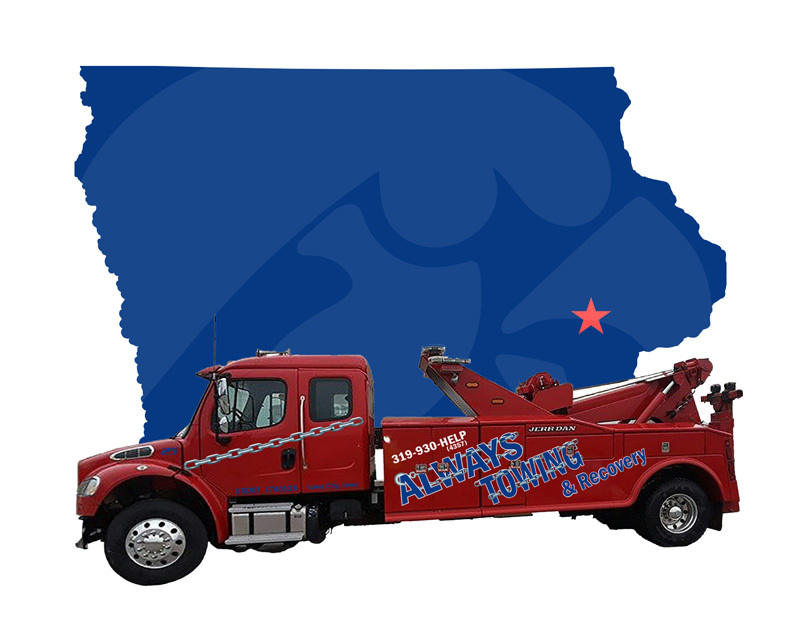 Always Towing & Recovery Incorporated has served the Iowa City area for nearly 20 years. Our facility provides 24-hour Towing and Recovery services, as well as 24-hour Emergency Roadside Assistance. Located in Iowa City, we serve the Johnson County area, including North Liberty, Coralville and Tiffin. Our fleet can tow and recover almost anything, and is equipped for all types of light, medium and heavy duty towing. From cars, trucks and RV’s to trailers, boats and even airplanes, we can move them all. Our services include 24-hour towing and recovery, as well as 24-hour roadside assistance. Equipped for light, medium and heavy-duty towing, we can move almost anything. From cars, trucks and RV’s to trailers, boats and even airplanes, we can tow and recover them all. Depend on us for everything from vehicle transport and parking enforcement to accident recovery, jump starts and more! Since 1999, our goal has been to serve the community by meeting all of your towing and roadside assistance needs. We’re ready to help 24 hours a day, 7 days a week! 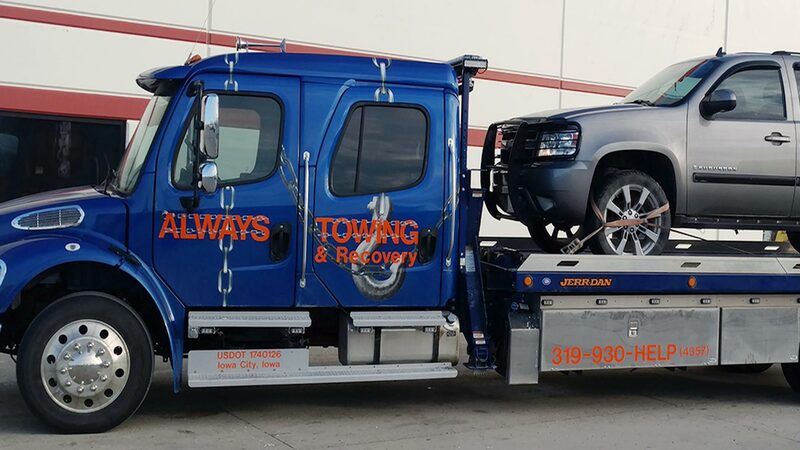 Since 1999, Always Towing in Iowa City has served the surrounding communities with 24-hour towing, recovery, and roadside assistance. We are a family-owned and operated towing company with nearly 20 years of experience, providing friendly and prompt response across a variety of towing services. We Always guarantee honest and reliable service. 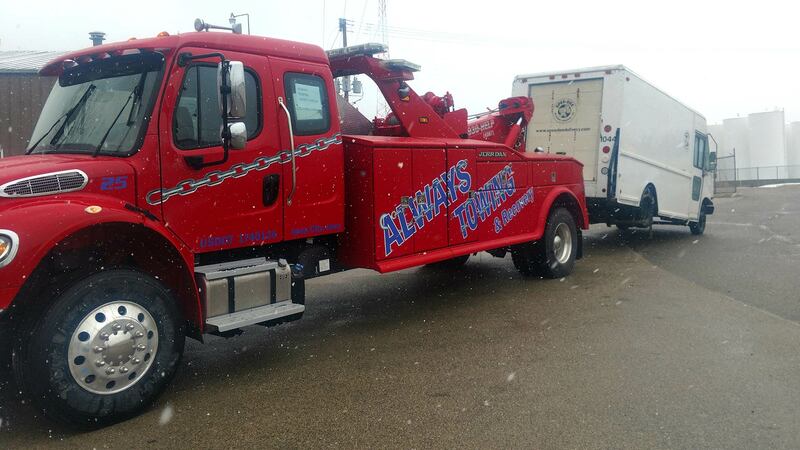 Founded by a towing industry veteran, Always Towing is proud to offer experience, speed, and friendly service…a combination that is necessary to provide the best towing service to Iowa City, North Liberty, Coralville, Tiffin, and all of Johnson County at affordable rates.